Welcome home to Diamond Hill golf community! 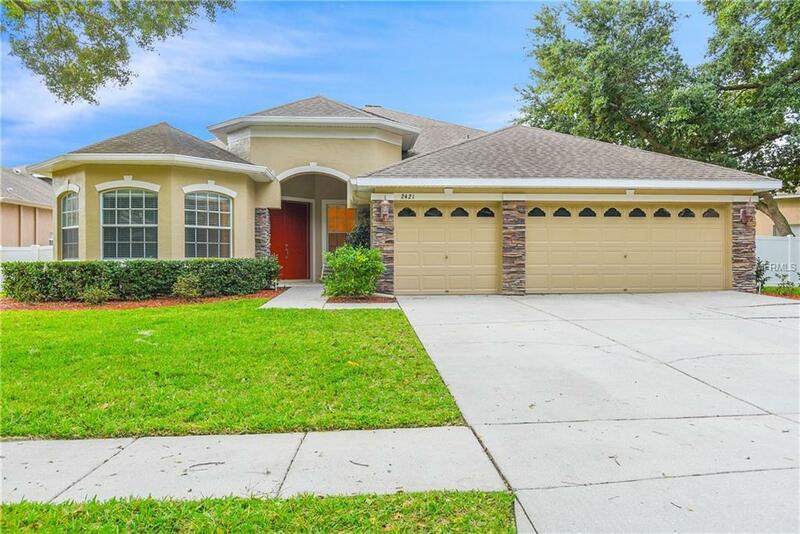 This executive home features 4 bedrooms, 3 bathrooms, a den, AND an upstairs bonus room with a built-in Murphy bed PLUS a 3 car garage! Watch beautiful sunsets from your backyard overlooking your saltwater pool and a serene pond. Have peace of mind knowing that both A/C units were replaced in 2017, hot water heater in 2016, solar heat and new pool pump installed in 2017! The Diamond Hill community features a clubhouse, community pool, playground, and fitness center.